Join us during our regular Sunday worship hour. 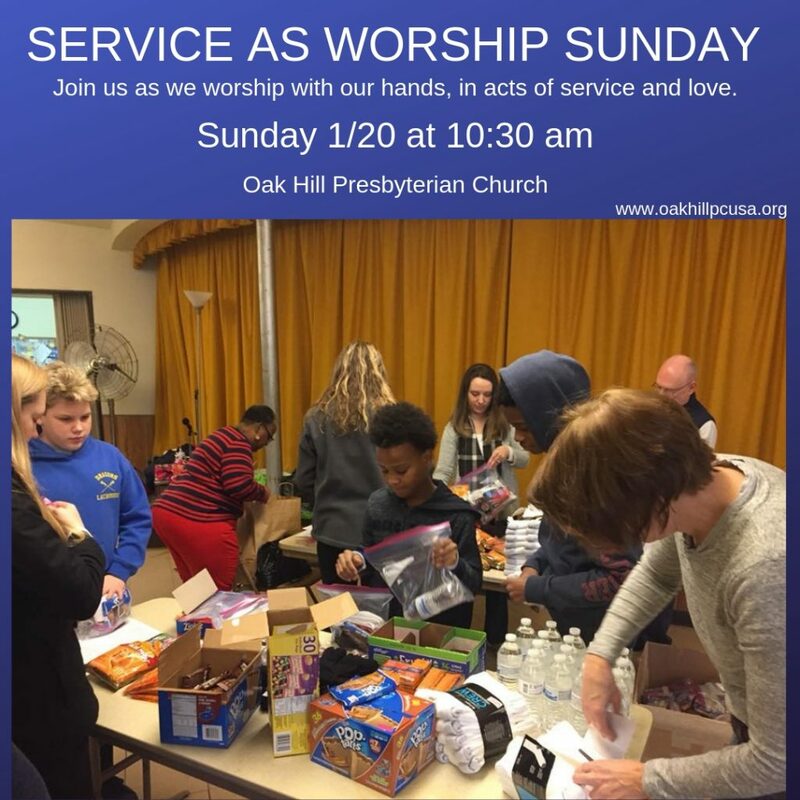 We’ll gather in the sanctuary to pray and sing and read scripture, then head downstairs to make food and care packs for our neighbors, write letters to elected offices, craft blankets to keep folks warm, and so much more! Sunday, Jan. 20th at 10:30 am. See you there!